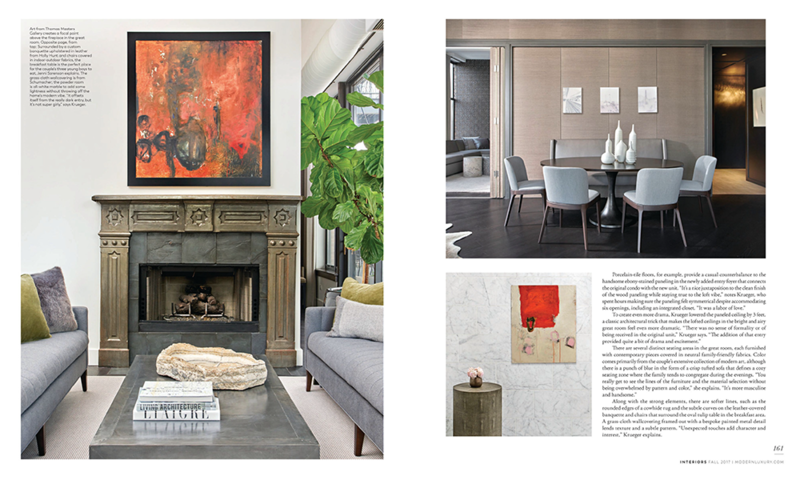 We are honored to be mentioned in two places in the recent Modern Luxury Fall 2017 10th Anniversary Issue. 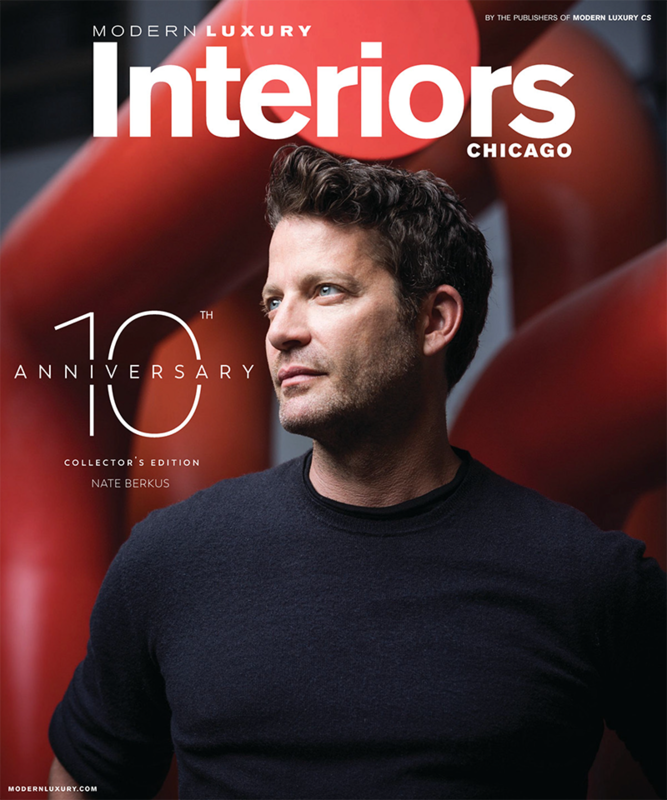 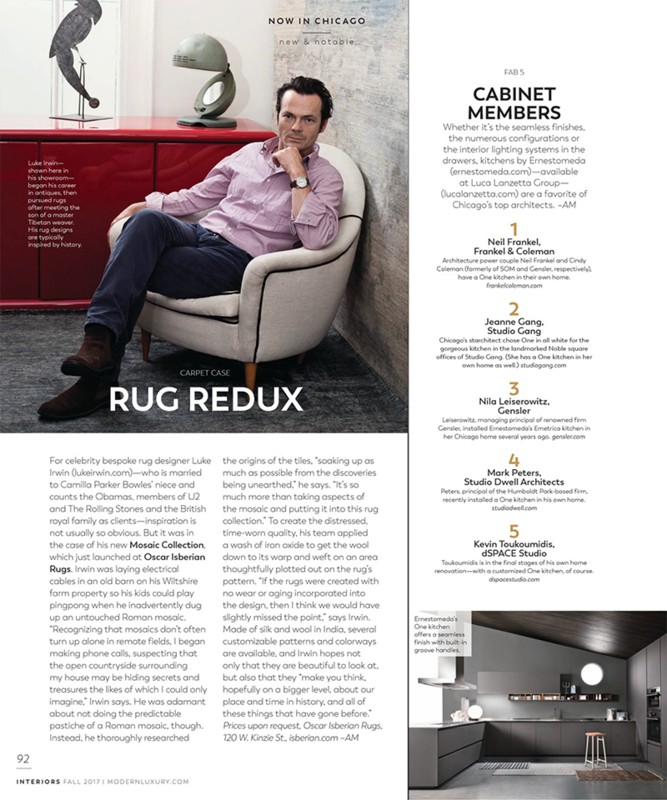 On page 92, you can find an article featuring Luke Irwin’s collection of unique mosaic rugs. 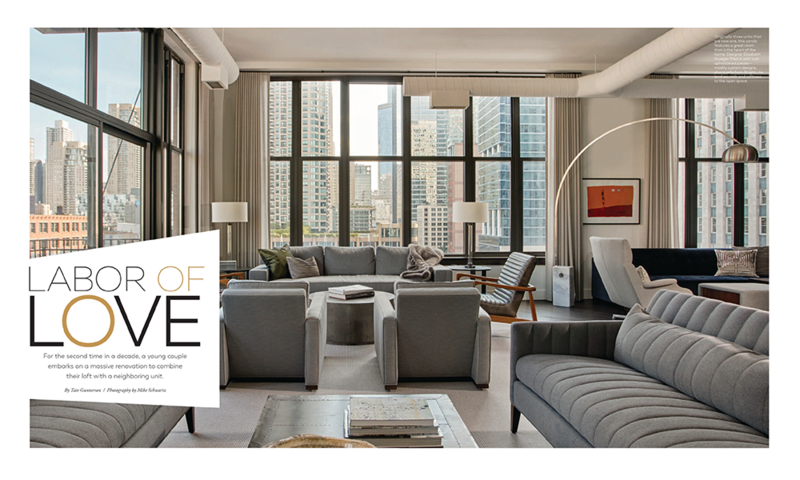 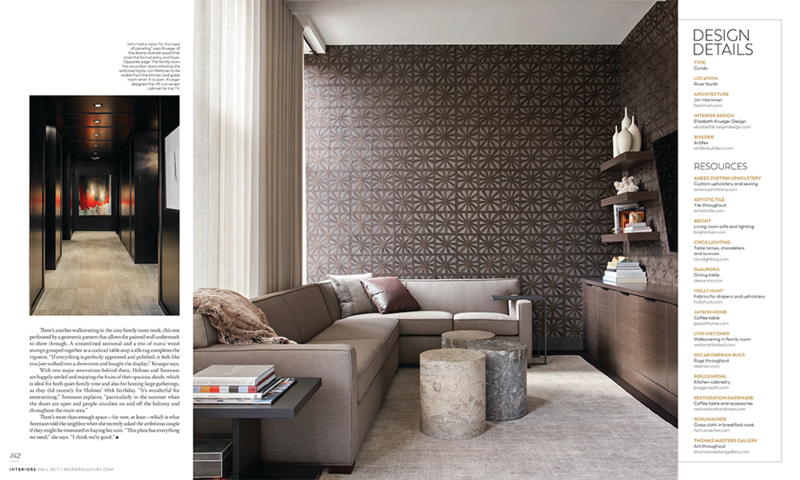 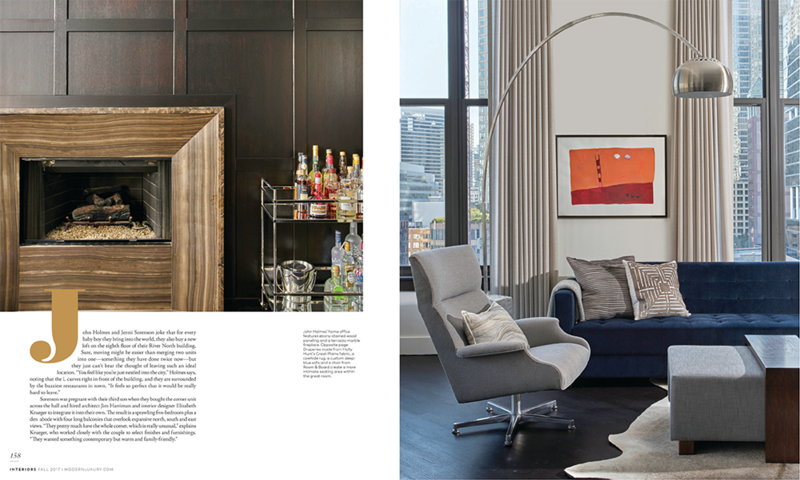 Then on pages 155-163, the article “Labor of Love” displays our rugs throughout a River North loft designed by Elizabeth Kruger.